Several years ago, I received some advice that I continue to follow to this day. 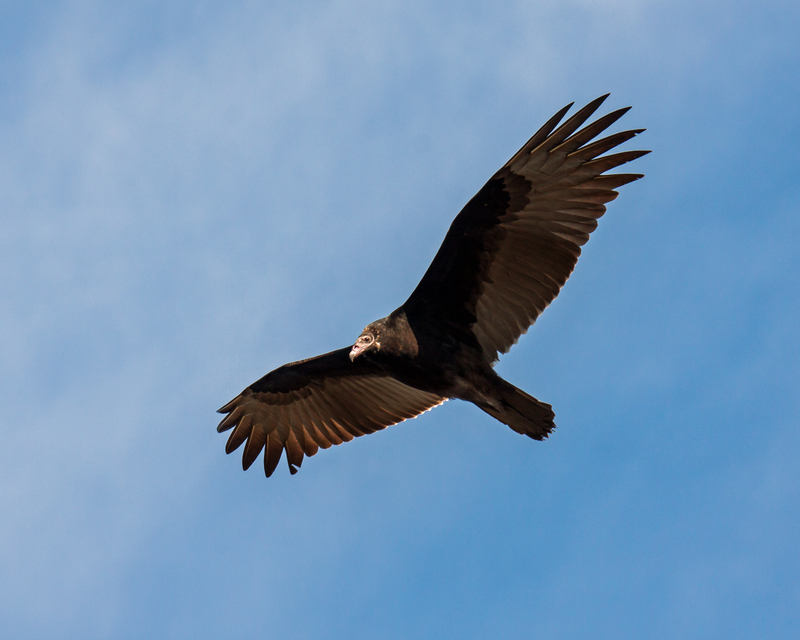 I was told that if a vulture is circling overhead, as this one was doing earlier this week at Occoquan Bay National Wildlife Refuge, make sure you move from time to time. When I first spotted this vulture, I was a little confused. It looked like a Turkey Vulture (Cathartes aura), but the bird lacked the distinctive red head that I am used to seeing on a Turkey Vulture. After doing a little research I learned that juvenile Turkey Vultures have an ashy-gray head that transitions to red as they mature.